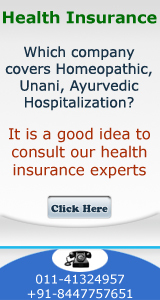 6- Senior Citizens Mediclaim Policies - United India Insurance Co. Ltd.
1 WHEREAS the insured designated in the Schedule hereto has by a proposal and declaration dated as stated in the Schedule which shall be the basis of this Contract and is deemed to be incorporated herein has applied to UNITED INDIA INSURANCE COMPANY (hereinafter called the COMPANY) for the insurance hereinafter set forth in respect of person(s)named in the Schedule hereto (hereinafter called the INSURED PERSON) and has paid premium as consideration for such insurance. 1.1 NOW THIS POLICY WITNESSES that subject to the terms, conditions, exclusions and definitions contained herein or endorsed, or otherwise expressed hereon the Company undertakes that if during the period stated in the Schedule or during the continuance of this policy by renewal any insured person shall contract any disease or suffer from any illness (hereinafter called DISEASE) or sustain any bodily injury through accident (hereinafter called INJURY) and if such disease or injury shall require any such insured Person, upon the advice of a duly qualified Physician/Medical Specialist/Medical practitioner (hereinafter called MEDICAL PRACTITIONER) or of a duly qualified Surgeon (hereinafter called SURGEON) to incur hospitalisation/domiciliary hospitalisation expenses for medical/surgical treatment at any Nursing Home/Hospital in India as herein defined (hereinafter called HOSPITAL) as an inpatient, the Company will pay through TPA to the Hospital / Nursing Home or the Insured Person the amount of such expenses as are reasonably and necessarily incurred in respect thereof by or on behalf of such Insured Person but not exceeding the Sum Insured in aggregate in any one period of insurance stated in the schedule hereto. 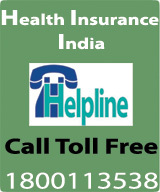 1.2 In the event of any claim/s becoming admissible under this scheme, the company will pay through TPA to the Hospital / Nursing Home or the insured person the amount of such expenses as would fall under different heads mentioned below, and as are reasonably and necessarily incurred thereof by or on behalf of such Insured Person, but not exceeding the Sum Insured in aggregate mentioned in the schedule hereto. B.ICU expenses not exceeding 2% of the sum insured per day or actual amount whichever is less. pacemaker, orthopaedic implants, infra cardiac valve replacements, vascular stents. liability under this head shall not exceed the total SI of the insured under the policy. ND. : The amount payable under 1.2 C & D above shall be at the rate applicable to the entitled room category. In case Insured opts for a room with rent higher than the entitled category as in 1.2 A above, the charges payable under 1.2 C & D shall be limited to the charges applicable to the entitled category. * Major surgeries include cardiac surgeries, brain tumour surgeries, pace maker implantation for sick sinus syndrome, cancer surgeries, hip, knee, joint replacement surgery. The above limits specified are applicable per hospitalisation / surgery. (a) has been registered as a Hospital or Nursing Home with the local authorities and is under the supervision of a registered and qualified Medical Practitioner. (b) Should comply with minimum criteria as under:i) It should have at least 15 inpatient beds. ii) Fully equipped operation theatre of its own wherever surgical operations are carried out. iii) Fully qualified Nursing Staff under its employment round the clock. iv) Fully qualified Doctor (s) should be in-charge round the clock.